Need your sample to be collected? Want to access your data? Intertek ShipCare is the shipping community’s gateway to Intertek’s global network of state-of-the-art laboratory facilities and industry-leading technical expertise. 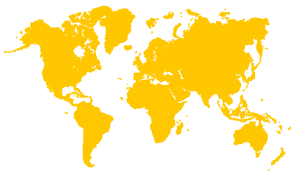 For more than 130 years, companies around the world have depended on Intertek to ensure the quality and safety of their products, processes and systems. Intertek ShipCare is the shipping community’s gateway to Intertek’s global network of state-of-the-art laboratory facilities and industry-leading technical expertise. Intertek’s expertise and resources can help avoid and minimise delays, repairs, losses and other risks to your shipping business and operations. Intertek is a leading Total Quality Assurance provider to industries worldwide. Our network of more than 1,000 laboratories and offices and over 40,000 people in more than 100 countries, delivers innovative and bespoke Assurance, Testing, Inspection and Certification solutions for our customers’ operations and supply chains.